Runaway Truck...came down Fourteenth Avenue, then took this wild route, shown by dotted line, between High and Pleasant Streets. It finally stopped between two houses in the background. 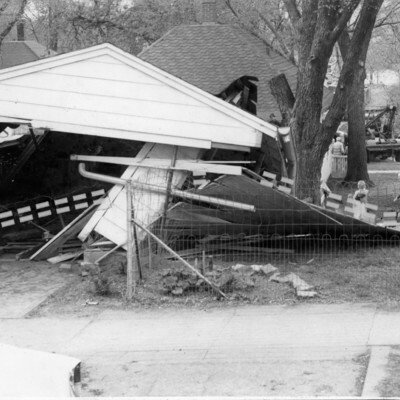 The only victim was the garage.